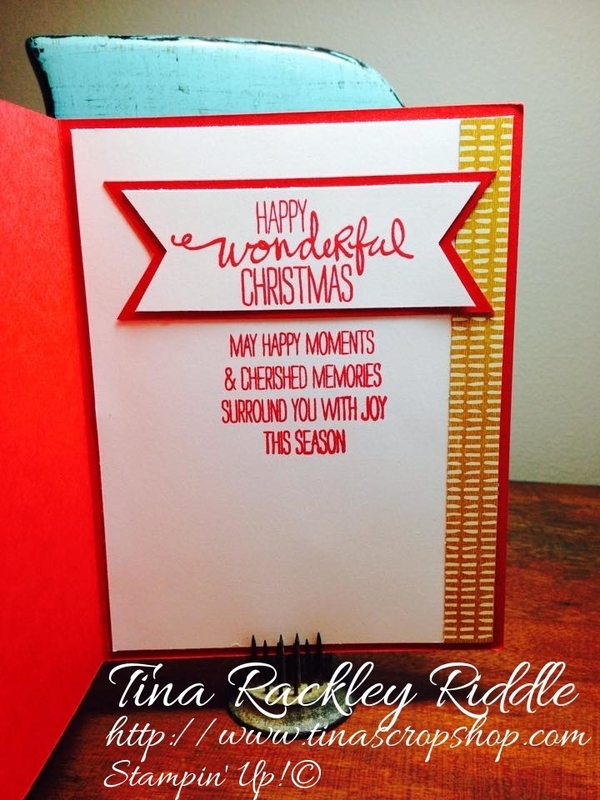 Tina's Crop Shop: Still Christmas in July?? I think so! Still Christmas in July?? I think so! Well after a couple of Christmas in July posts, this month, I think I may be in the mood to play around with some Christmas stamps a bit. 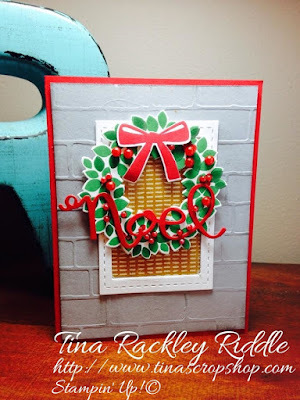 I used the Brick Wall Embossing Folder on Smoky Slate Cardstock for the background and instead of a door I wanted to make a window. I used my MFT Stitched Rectangle Dies to make the frame. In looking for something for the inside of the window, I found this cool Bohemian DSP that looked a lot like a wicker shade to me so I thought it would be fun to use. The wreath was stamped in Garden Green and Cucumber Crush and the berries were various sizes of pearls that I colored with Red alcohol markers. I love the way those berries turned out. For the inside I used a thin strip of the Bohemian DSP on the right side and then added my sentiments from the Wonderous Wreath set onto my card. Every Cloud has a Silver Lining, right? ?